Crowdfund Corner is T3.com's curated roundup of the best crowdfunded products around at the moment. We'll update this article on a rolling basis whenever there's new crowdfunded stuff that gets us excited. Usually - but not always - these will be available via Kickstarter or Indiegogo. 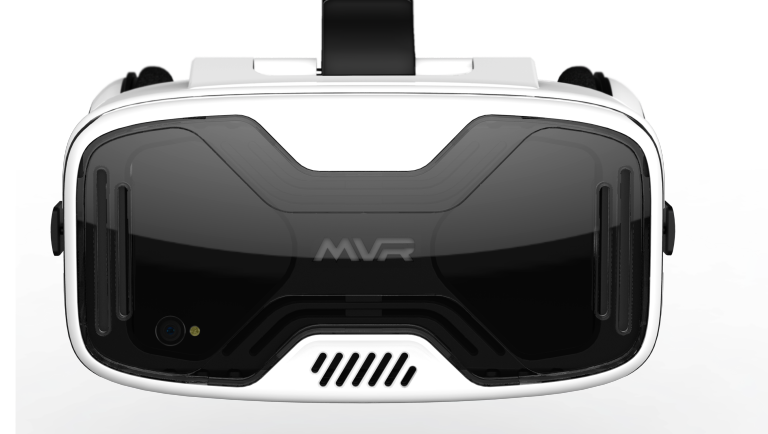 MVR is an emerging British VR headset marker that aims to bridge the gap between high-end and budget headsets. The Ascend H1 Headsets have been designed to work with Xbox One or PlayStation 4 – each headset will also be compatible with PCs, too. This means that the MVR headsets are the first devices on the market to support multiple devices. Using an external sensor, you can control the game using head movements in first person games (this mimics the analogue stick/D-Pad) -although a special version of the traditional gamepad is used simultaneously. The current UK pricing is set at £199 for the PlayStation 4 model and £249 for the Xbox One model. You can switch between 2D and 3D thanks to interchangable lens adapters. Thanks to a flip-up function, users need not take the headset off when taking a break. A simple push of the 'flip up' button means the front section of the mask will lift up without having to take the headset off. There's also built-in headphones, too. If you've ever strugged wearing bog-standard earplugs, then Isolate by Flare Audio (above) could be for you. It's a new, patent pending ear protector that reflects sound away from the ears. They therefore achieve much greater attenuation, as they do not accept sound into the ear canal. The Kickstarter is live now until 15 August. Traditional earplugs rely on absorption principles. Trying to absorb sound requires a large amount of material to work well. When an ear plug has less than an inch of material the resulting small scale absorption leads to muddy/muffled audio in the high and mid frequencies, with little to no reduction in bass frequencies. Isolate blocks sound from entering the ears and so attenuates all frequencies. Sound is not able to conduct into the patent-pending technology that Isolate uses. Isolate earplugs are designed to be reusable and are so effective at not only meeting but surpassing health and safety requirements, they are even ideal for industrial workplaces. Clever stuff. You always hear the phrase 'you spend a third of your life sleeping' and never really think anything of it. But how many nights have you had where you just can't get to sleep and feel awful the next day? The ZEEQ Smart Pillow is designed to ensure everyone gets a good night sleep. The creators Warrick Bell and Miguel Marrero are labelling this the worlds most sophisticated pillow. That's because it houses a ton of cool tech to enhance your sleeping experience. Built in Bluetooth speakers, motion sensor, microphone and its own alarm are just some of the features this pillow has. All the tech is intricately weaved into an app for your smartphone. This allows you to not only see your sleeping stats, but also add more information about yourself so the pillow can give you the most personalised sleeping experience. ZEEQ knows how much sleep you need and will vibrate when you need to get up — it'll also do it if you're snoring too loudly too, causing you to turn over and find a better position. For everyone that's been woken up by someone else snoring during the night, we finally have a solution. The pillow has already reached its Kickstarter goal of $50,000, but there is still plenty of time left to put your money down and get ZEEQ as soon as it launches. A lot of people are only just cutting the cords from their wired headphones and moving to Bluetooth. However the FireFlies are taking this to the next level by offering in ear headphones with absolutely no wires. You want to go full wireless right? These compact ear buds offer complete mobility — meaning they're perfect for anyone with an active lifestyle. Moreover the buds come with a pocket-sized case to carry them around in, and the nifty little thing also functions as the charger for the buds too. There's clear demand for a cordless future after the Kickstarter page reached its goal of $20,000 in 12 hours. Backing them online is your way to get these awesome buds for $80 (approximately £60). Nowadays everyone wears some kind of smartwatch or sports band that monitors their heart rate either while doing exercise or just day to day activities. But what would your device actually do if something went wrong? The new sports range from Sensoria provides you with a heart sensor able to call for help if the wearer suffers from an unexpected problem such as cardiac arrest. This feature is vital as a lot of working out takes place solo and away from home. The heart rate monitor is paired with an application on your smartphone so you can track your heart rate precisely to make sure you're hitting the right training zone in your workouts for maximum results. What differentiates Sensoria from other heart rate monitors is the accompanying clothing line. The heart rate monitor attaches to the tops seamlessly, allowing for complete freedom of movement while working out. Finally the Sensoria application comes with an AI assistant to help you have the best workouts possible. There are also workout plans available on the application itself. The new line of sportswear from Sensoria is being funded on Kickstarter and can be yours for $79 (approximately £61). Hi) is your new smart doorbell that's designed to keep your home safe. The smart device is connected to your home wifi network and sends a push notification any time someone comes to your property. The device has a motion sensor that'll detect activity outside your house, meaning the person doesn't have to press the doorbell for it to alert you. The beauty of Hi) is the companion app — it allows you to answer your doorbell but also pass it off to another family member if you're busy. The app allows a whole family to be connected so everyone knows their home is safe. Fenotek have worked to make sure the delay between someone pressing your doorbell and you getting a notification is as minimal as possible. Once you've got a video feed of the person outside you're able to speak to them directly, meaning you'll always be able to get your packages on the day of delivery! If it's someone unsavoury looking, you can trigger an alarm to send them running. Hi) has already reached its goal on Indiegogo but if you're quick you can still grab the doorbell for the discounted price of $279 (approximately £215). We're all encouraged to cycle; it saves us fuel money, helps us be healthier and reduces traffic. The one issue is the vulnerability of a cyclist. The CycleShield is a device for threat protection and also records offenders that hit cyclists. The CycloShield is essentially a box you attach underneath your bike seat that will alert you when a car is nearby and record behind you constantly so if you're hit by a car, you have video evidence of the incident. The accompanying app will also send out a GPS location and contact the emergency services after a crash to speed up an ambulance arrival. You can get the CycloShield by pledging £299 on the company's Kickstarter page. E3 2016 was filled with a lot of unexpected announcements, such as the revival of Crash Bandicoot, new hardware from Microsoft and a ton of hot games that showed the current generation of consoles are really hitting their stride. But one of the biggest games of the show was Yooka-Laylee. The game is a 3D platformer that takes the player back to the N64 days. The colours are bright and the environments are diverse, just like they were in the 90s; what's different here is the stunning level of detail only the current generation of consoles can provide. The game has incredible visuals and an even better pedigree, with a bunch of ex-Rare developers responsible for making Banjo-Kazooie forming the new studio Playtonic Games. The Kickstarter launched in May 2015 and raised £2,090,104 from its £175,000 goal. It looks like people really want an old school platform again, huh? Meeting the girl of your dreams and having a language barrier between the two of you is the worst. That's how Pilot came to be. It intends to knock down all language barriers. Waverly Labs is creating a piece of tech that looks like it was pulled from a science fiction movie with a sleek design and purpose. But it's the incredible potential of the device that makes this worth backing on Indiegogo. The idea is simple, you have a couple of small earpieces, for you and for the person you're talking to. Once one person starts speaking, the other hears it in their language. An accompanying app, which can also be used when translating offline, is also being created for use as a basic translator for phrases of foreign languages. The first smart translator uses dual canceling noise microphones to cancel out ambient noise and focus on the two people talking. The speech then passes through the accompanying application, gets translated and plays back to the earpiece in a matter of seconds. For now the earpiece only translates from people wearing the second earpiece, but Waverly Labs has plans to create later versions with the ability to translate everything around you. The Pilot will land (no pun intended) in May 2017 with English, Spanish, French, Italian and Portuguese available day one with more to be added from the summer to the end of 2017. The device has smashed its $75,000 goal by generating $2,166,188 at the time of this writing. For $199 (approximately £136) it can be yours, and who knows, it might help you find your perfect partner. Every year new smartphones, tablets and other devices tout how revolutionary they are. But the way they are charged has stayed pretty much the same. Apple users are still waiting for wireless charging and Android users have to put their phone in a rigid position on the small pads available. FLI Charge is a pad that promises to change the wireless charging game. Once it's plugged in there are no additional wires necessary. All you need to do is put your phone in the case provided and then place it on the pad for charging, which works as fast as a wall outlet. Each pad is large enough to charge up to six smartphones at once and comes with an FLI Cube and Coin for charging additional devices on the fly. The campaign has already surpassed its goal, but $99 (approximately £67) gets you all the essentials for wireless charging. Once you've got your hands on it wave goodbye to the 'bed lean' struggle every morning. Getting kids to be more active is hard, especially when their lives are dominated by experiences on screen. Children in the US spend 5-7 hours on average staring at them each day. ROXs wants to take the experience of video games and put it outside, it wants kids to play the type of games that involve exercise. ROXs is essentially a pod with a touch sensitive button on one side and a small display on the other. The console comes with a set of pre-programmed games which range from basic touch games to 'zombie tag' where one of the pods will emit a zombie noise, indicating that the tagged child is then a zombie and has to tag others to make them join their ranks. The price for getting your children outside is $159 (approximately £108). Have you ever wondered what it's like to walk on the moon? Of course you have. The 20:17 MoonWalker Boots promise to fulfill that by using magnets in the soles of the shoe to give a repelling force that makes you feel light on your feet, just like you would if you were 384,400 km away from earth. The MoonWalker Boots come equipped with memory foam and a futuristic design that any member of the Enterprise would approve of. They can be yours for $79 (approximately £53).